Joseph was killed in a construction accident. The earthly father of Jesus Christ, our Lord and Savior died in a construction accident when Jesus was still young, only 14 years of age. Joseph died from injuries that happened when a derrick fell on top of him leaving him gravely injured. A messenger came for Mary to come immediately. For some strange reason, Mary decided to take James with her instead of Jesus to see what happened while leaving Jesus at home with his six other younger brothers and sisters. But Joseph died before Mary arrived and Jesus was now the head of the household. At least that’s what it says in The Urantia Book. Also known as The Fifth Epochal Revelation, this tome was published in the first half of the 20th century after a period of 10 years where members of a small group were allowed to ask questions of a “sleeping subject” who received the transmissions of celestial beings. There are many other revelations about the life of Christ, especially during his younger years. Like how Jesus loved to draw with charcoal or sculpt with clay when he was only nine years old. At 10, Jesus had a friend, Jacob, the stone mason’s son, who defended Jesus from getting beat up since Jesus even then was a pacifist. At age 6 was the first time Jesus could recall meeting John his cousin whom he played with on the roof of his house in the sand. And did you know that Jesus taught his brother James the alphabet when Jesus was only 8 years old? It’s hard to know what the truth is anymore. Most of us hear stories like The Urantia Book and quickly categorize those as fiction. But too often things and ideas we held as “truths” constantly are being replaced with new things and ideas that we call “truths.” And when we look at the long history of those things, it can cause us to doubt the truth of what we think we know. We’ve talked about some of them throughout this series. The idea that slavery was justified by God was a “truth.” The thought that women were forbidden to teach men was a “truth.” Viewing children as property was a “truth.” All of which today we believe to be wrong. We fabricate our own truth and call it fact. Tobacco companies lied for years about the health risks of smoking both to the public and to the government. 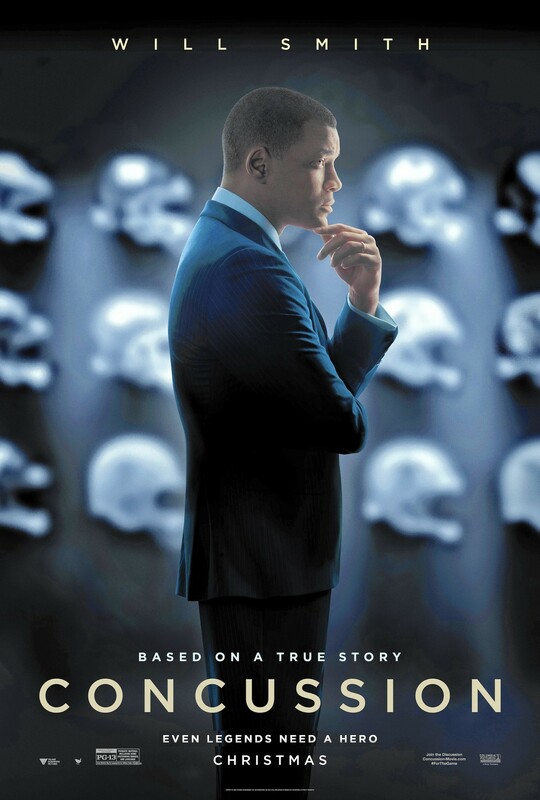 The NFL released a study showing the effects of concussion were negligible for its players and stood by that research for 13 years until it was discovered this year that those studies were flawed and that more than 100 cases of head trauma went unreported. They have also been slow to enact change despite the mounting evidence about the long-term effects of these concussions. And because people love it, we are slow to accept these truths ourselves. Who among us hasn’t been completely baffled by which foods are good for you and which are not? Remember when eggs used to be good for you? And then they weren’t? And then they were? How about butter? How many of us switched to margarine because it was better for you only to find out it was way worse than butter ever was? With all of these doubts about the truth, how can we put our trust in the Bible? As we’ve shared, the Bible has not been free of controversy either. But does that mean there is no foundation to our faith? When we read the Bible we keep in mind that it is a collection of books and documents, written by human beings, who were inspired by the Holy Spirit. We recognize that there are some inconsistencies in the Biblical narrative, but nothing that takes away from the essence of who God is or who Jesus claimed to be. In fact, the overwhelming amount of documentation in the Bible is uncontested and consistent. As Hamilton wrote in Making Sense of the Bible, “Only the most skeptical of historians question whether Jesus actually existed.” But can it be trusted as the Word of God? If you have a Bible or a Bible app on your phones, please turn to Luke 1:1-4. 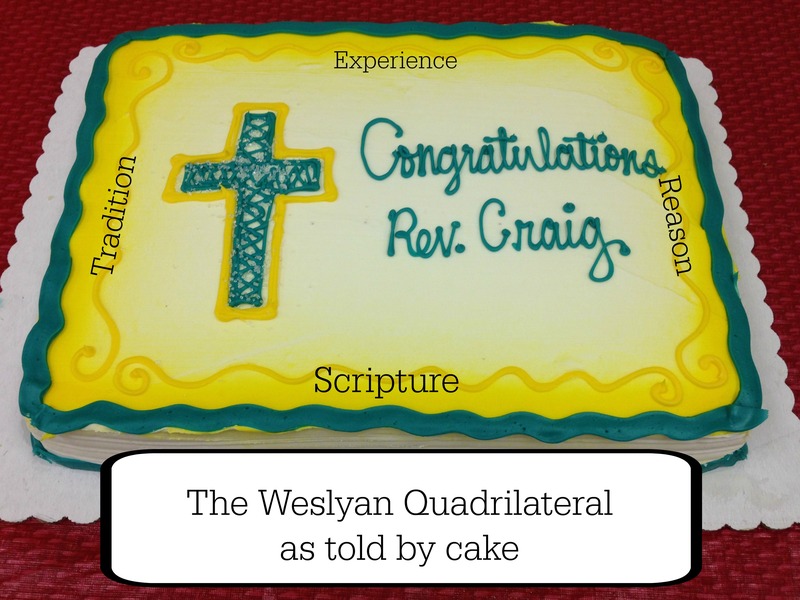 Whenever John Wesley wanted to understand the truth of Scripture, he turned to what we call today the quadrilateral. The Wesleyan Quadrilateral consists of four elements: Scripture, reason, tradition, and experience. Scripture. Reason. Tradition. And experience. He found that Scripture was sufficient for our knowledge of Christ filtered through our reason, our tradition, and our experience. It was through this triple lens that we could discern for ourselves the truth of God’s Word in our lives. For me, I take comfort in knowing that Luke saw this coming. I don’t know if people were as skeptical then as we are now, but for Luke it was important that what he wrote and how we wrote it would be taken seriously by others. That’s why he opens his book with these words. Many have undertaken to draw up an account of the things that have been fulfilled among us, 2 just as they were handed down to us by those who from the first were eyewitnesses and servants of the word. 3 With this in mind, since I myself have carefully investigated everything from the beginning, I too decided to write an orderly account for you, most excellent Theophilus, 4 so that you may know the certainty of the things you have been taught. People have often speculated on exactly who Theophilus was. Some have conjectured that Theophilus was a Roman official, a priest, or even a lawyer. But since Theophilus literally means “Friend of God,” I hold with those who believe it was written to any of us who believe so we might have strength in our faith and be able to share Luke’s knowledge and testimony with others to encourage their faith as well. But from Luke’s opening lines, we know the events he shared were something he was able to verify either through people who were actually there or from documents that were considered sacred. From Paul’s letter to the Corinthians (1 Corinthians 15), we know that by the time Luke’s Gospel was written, there already existed documents being circulated that were considered Scripture and documented the life of Christ. They recount the resurrection and attest to the fact more than 500 people saw Jesus all at once after he had died on the cross. Hamilton stated, “To imagine that the Gospel writers could fabricate significant events from the life of Jesus while so many who were still alive had heard or seen Jesus seems unreasonable to me.” Reason also helps us to understand that even though we look at the Bible as one document, it really is a collection of 27 documents written by at least nine different authors over a span of 50 years. To have that much consistency over that span of time and have the essential elements of the same story be recounted from different sources without at least one of them shedding doubt on events is fairly convincing. Tradition tells us the apostles or those close to them wrote the Gospels. Tradition also tells us that the Gospels have withstood the test of time. Reason confirms that the accounts we read are likely to be accurate and reliable. But for me, it is experiencing the Word made flesh that convinces me that the character of God we read in the pages of the Bible are a true reflection of who he is. That God I encounter in my life is the same God I read about in the Bible – a God of love and kindness and mercy. I didn’t grow up in a house where we knew Christ. We didn’t go to church. My parents were nominally Buddhist at the time. Yet it was through my mother that I first learned about God and Heaven. It was through the friends I met in my life who encouraged me to get to know Jesus Christ, not by force but by their own example of what God meant to them. 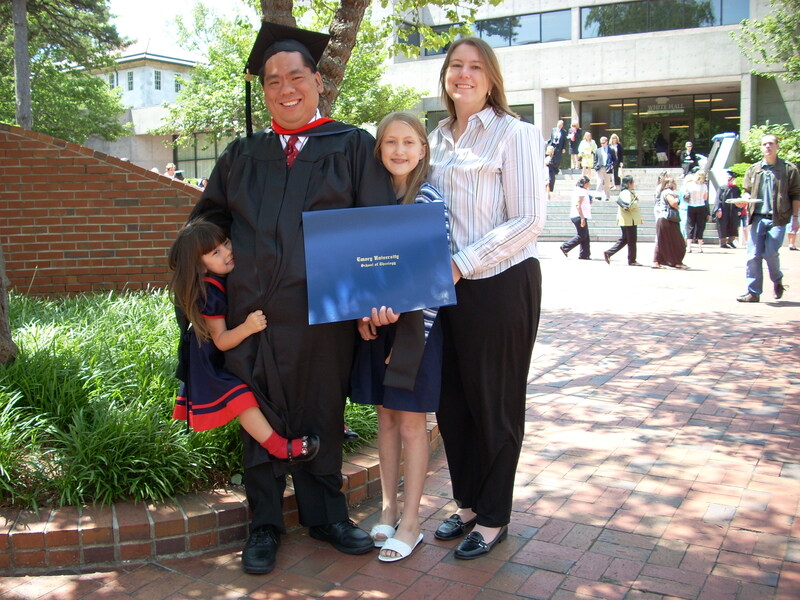 It was by my girlfriend who would later become my fiancé and then my wife, that I was encouraged to return to church. And it was by the love of the people I encountered there that I decided to give my life to Christ. When I had doubts about faith, it was again by what the skeptic would call luck or chance that I would bump into people who would continue to lead me and guide me in my faith. And each time I hit a speed bump and honestly turned my life over to God, he has opened a new door for me to walk through. The only decision I made in this whole process was to trust in God. God did the rest. And because I have seen the evidence of God in my own life through the people and the circumstances that have led me here today, because I know the person I was before I opened myself to Christ and the person I have become since, I believe that what the Bible says about God is true. God is love. But ultimately, that is something you still have to decide for yourself. There are volumes of books written on the subject that would help convince you as it did me that God does exist and that the God we read about in the Bible is the same God who lives in us today. There are thousands of documents illustrating the miracles and testimonies of various people who have encountered God in their lives in astonishing ways. I can tell you about people who have tried to debunk the Bible and the “myth” of Christianity only to be converted themselves. But for every story I tell you, there is some other story someone will tell about how the Bible is just another example of Ancient Near East mythology. There is someone who will compare the Biblical narratives to those of other ancient religions. There are people who will chalk up what we believe to be the intervention of God as simply random chance, luck, or good fortune. Or there will be people who write things like The Urantia Book. No matter how much proof we offer, it still comes down to a leap of faith. We keep looking for definitive proof that God exists, but the only proof we really need is in the life of Jesus Christ. We call the Bible the Word of God, but the true Word of God isn’t a book, but Christ himself. The true Word of God isn’t a book, but Christ himself. We put our faith not in a book or a symbol but in the Living Water who still exists within us today. If it makes you feel any better, there is no more valid argument that God doesn’t exist either. But for me, the overwhelming evidence is in favor of God. I challenge you to open your life up to God if you haven’t already. I challenge you to really give God a chance, to accept Christ into your heart and be willing to forego your own doubts if even for a little while. Because when you see the world with the lens of Jesus Christ, you can’t help but notice that God has been waiting for you all along. In the name of the Father and of the Son and of the Holy Spirit. Amen. Adam Hamilton, Making Sense of the Bible, p. 233.